Each session contains four 20 minute segments. The overall course can be taken online (offered in the winter) as preparation for teaching the course in smaller segments. Any single session could be offered as 4 unit course in a congregational setting. This course, in it's entirety, can also be used in preparation for the Associate in Ministry roster. resources. Lecturers are Dr. Ralph W. Klein, Lutheran School of Theology at Chicago and Dr. Katheryn Schifferdecker, Luther Seminary. 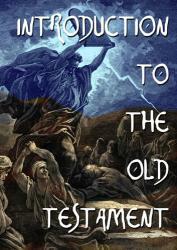 The Old Testament: A Historical and Literary Introduction to the Hebrew Scriptures. Introduction to the Old Testament from Select Learning on Vimeo.